Find here DeWALT DCD791D2 Review. Know about pros and cons of it. 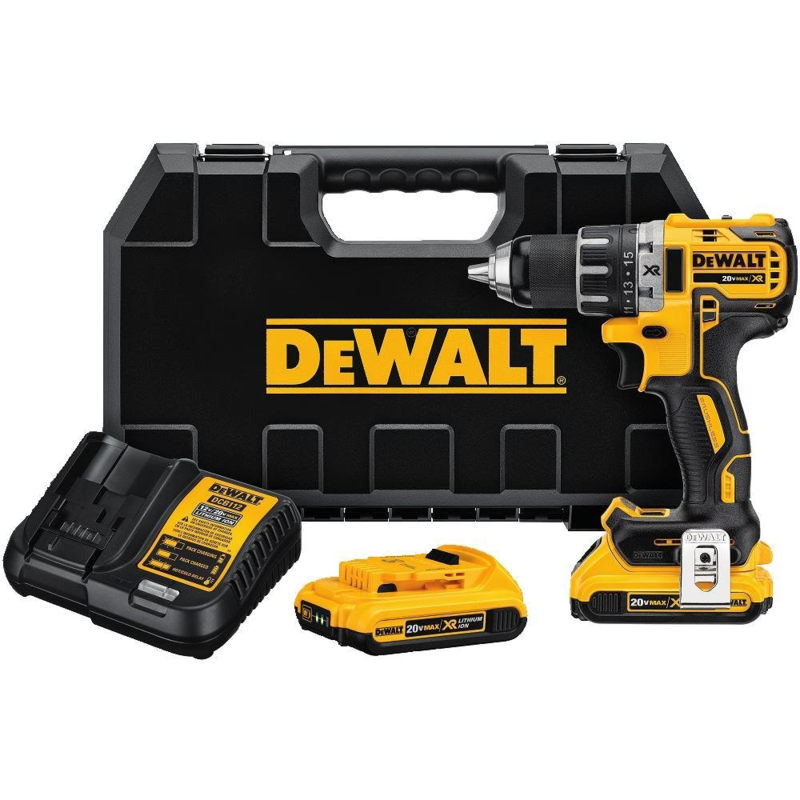 Read this article before you buy DeWALT DCD791D2 Cordless Drill. It features a brushless motor which is capable of delivering up to 57% more run time over brushed. its very lightweight and weighs only 3.4 lbs and it can fit tight areas. It comes with two speed setting of 0 to 550 RPM and 0 to 2000 RPM which can deliver up to 30% faster application speeds. The grip is ergonomically designed and provide comfort and balanced. The metal 1/2″ ratcheting chuck helps in providing a very strong gripping strength. You also get a 3 mode LED which helps in illuminating in the dark and its up to 20 times more brighter than the older model. The XR Li-Ion batteries has a 33% more capacity. Overall one of the best cordless drill available today. Very lightweight and weighs only 3.4 pounds. Brushless motor which delivers up to 57% more run time. High speed transmission with 2-speed settings. 3-Mode LED lights with a spotlight mode. Bits tend to fall off. Q – Can you tell me the torque rating of this drill? A – Torque is the force the drill produces to turn an object, not how fast an object will turn. In recent years torque ratings have been steadily increasing to levels beyond what is actually needed to complete applications. A new way to measure the performance of a drill is to combine speed and torque, a measurement called Power…….The drill’s Power Rating is measured by its Units Watts Out (UWO), the point where the drill’s speed and torque output are the highest. The higher a drill’s Power Rating, or UWO, the faster it will perform on the job site. From DeWalt the UWO for the DCD791 is 460. Q – Can i use all 20V Dewalt battery in it? Q – Battery charging time? A – It takes one and half hours to charge. When the light blinks, it means charging is complete..
Q – Ok, What will I get with it? A – You will get drill, 2 batteries, charger and case..